my choices right now , comes down to Navara np300 or L200. Not going hilux cause - parts would be expensive. Not going BT50 or ranger ever again!! too much stress. Isuzu maybe used , definitely not colorado. I recently seeing plenty people reselling their new hilux early .. low mileage... why? Non-common rail and a stringent maintenance schedule to prevent an expensive engine replacement is probably the best option yes, because the deplorable roads and constant flooding in certain areas doesn't favour a hybrid car. More like breakfast, lunch and dinner thought! "Hey the face lift model came out this week. We have it in the showroom. You can pass and check it out. Any pics of the new face lift ? 287$ is auto or manual? sorry no pics yet i have requested them . Sales Rep said the facelift features was just the front bumper grill and fog lamps..
Any word on the new ranger raptor.. anyone get one yet? civic minded wrote: my choices right now , comes down to Navara np300 or L200. Not going hilux cause - parts would be expensive. Why not the Colorado ? Chevy gives you everything . scotty kilmer said never buy chevy! Lifestyle 's offer to date is unbeatable ! Good day.. anyone know d rules license officers coming with.. are lifted trucks illegal on.the road...what are the rules? You may be confusing brand with model. The Chevrolet Silverado, Ford F150 and Dodge Ram are best in class (full size pickup) but don't have much other competition in the US. Midsized RHD pickup trucks worldwide are currently led by Mitsubishi, Nissan and Toyota, in that order. 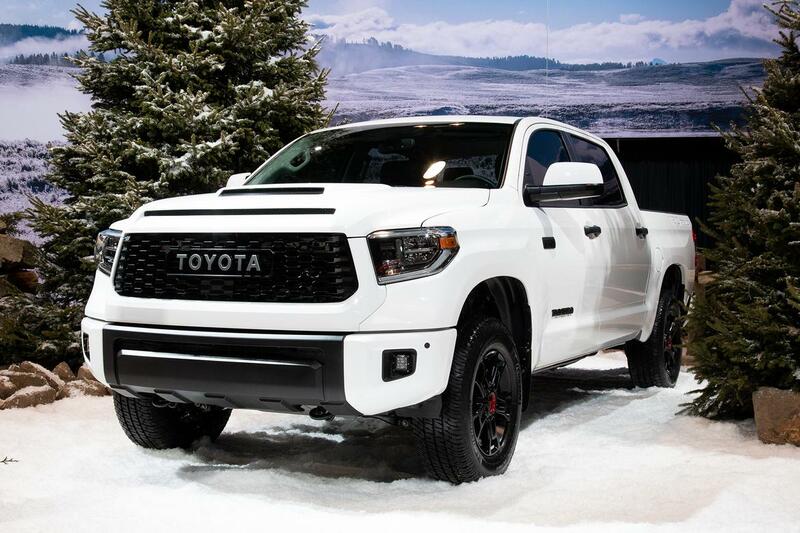 All ya not wake up yet ..
Toyota revealed the mild refresh and upgrades for the 2020 Tundra, its half-ton pickup, at the 2019 Chicago Auto Show. It may be exported in RHD.